The Yaggi antenna increases the signal received by the repeater and is compatible with all our mobile booster repeater kits. 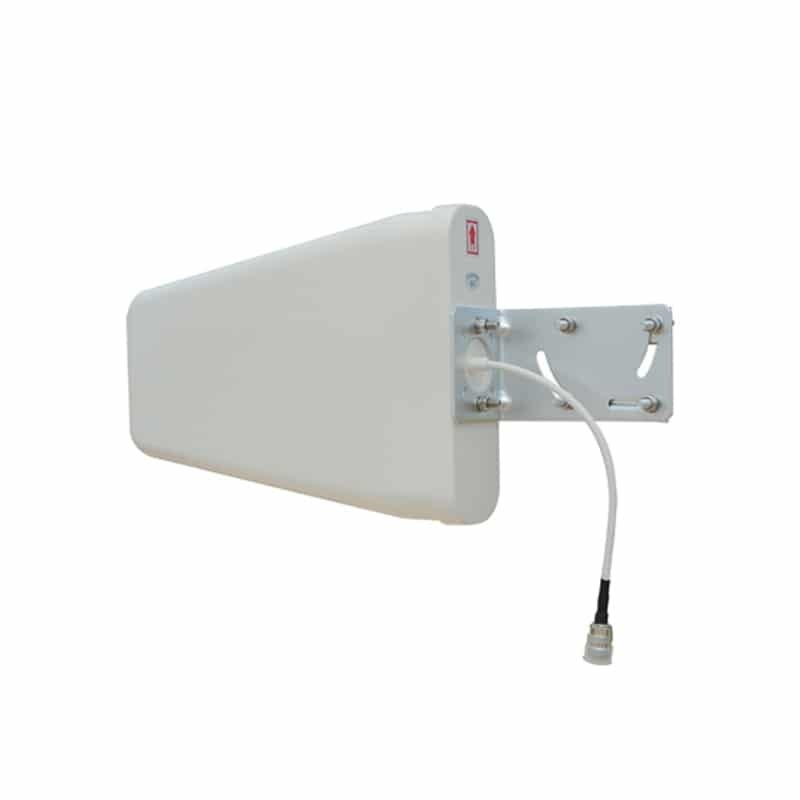 This improves coverage area and signal quality by capturing a stronger input signal to be delivered to the signal booster base unit. You need to purchase this Yaggi if you are in areas of weak signal mobile signal or want to get the maximum gain out of your booster. The Yaggi antenna is an optional upgrade for your repeater kit. This product is designed to increase signal strength and extend coverage of the standard repeater kit by capturing a stronger input signal for the repeater through a higher gain external aerial. The extra gain from the Yagi antenna results in better overall system performance. The Yaggi antennas come with mounting equipment to attach the antenna to any 20-40mm diameter pipe. The antenna should be pointed towards the nearest mobile phone mast. This is done quite easily by rotation the antenna till you get the best performance (after purchasing, we can also provide maps of the cellular masts and towers in your area). Dimension 420x210x64mm/ 41" x 8" x 1"